Hi All! I'm back! PLEASE forgive me for not blogging in days. Life has been nothing short of hectic since Wednesday. 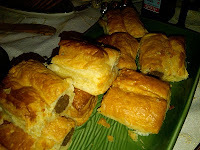 Hosted my book club meeting on Thursday... and we had a great time!! 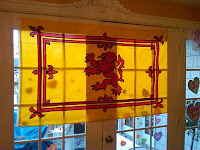 Went to Cameron's in Brick, NJ on Thursday to pick up Scotch Pies, Sausage Rolls and a huge flag with the Lion Rampant on it for my book club meeting. My dear friend, Teresa made a SPECTACULARLY GORGEOUS carrot cake that I found on one of my favorite Scottish sites: A Wee Bit of Cooking. Wow. I mean... WOW. Look at it! Stunning! (Those are cranberries and pistachios on it!) And it was tremendous, too. Teresa actually used to live in Scotland. She lived in Dunoon (I've been there - adorable town. Loved it) when she was a wee lass... and she happens to be the best cook I know. So when I sent her a link to the website with a photo of the cake, she offered to make it. Who was I to say "no"??? OK....next up... a blog about our meeting at Tracey's house today. More to come! Looks like you all had a wonderful time! The food looks incredible! Wish I could have been there. While I have started a lot of people on these books, I don't really have anyone to discuss them with (in person, anyway). Dinah, do you live in the NYC metropolitan area? 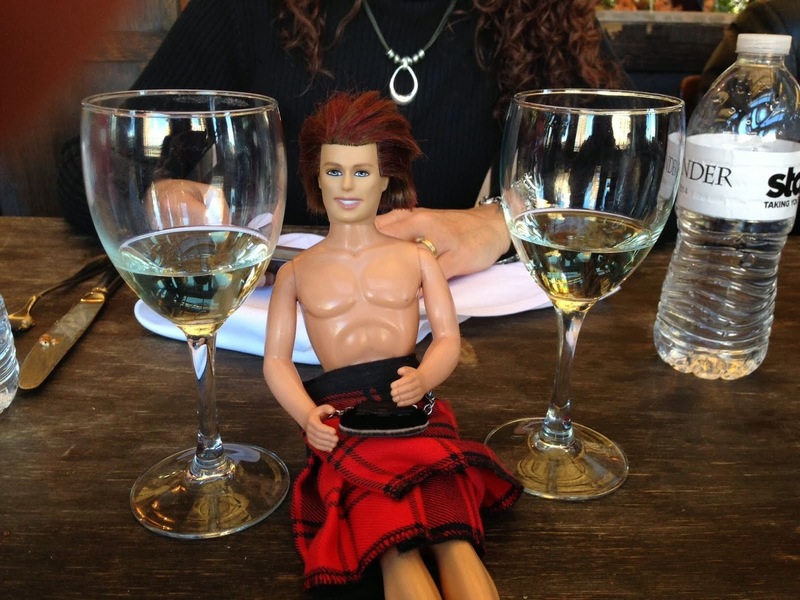 No firm date set, but we are in the early stages of planning a trip to a Scottish bar in the city for any and all Sassenachs to meet up. Would be so much fun to meet everyone! I'd love to come to your happy hour! But I'm too far away as well :-( I wish I lived closer to your book club! Like Dinah, I don't know anyone else reading these books. I visit this site often to get my "Outlander" book club and discussion fix. I'm now midway through Drums of Autumn and am torn between taking my time, and reading the series slowly, to coincide with the release of Gabaldon's next book (a zillion years from now, I'm guessing?). If you guys ever hear of an Outlander book club in the Rockville, MD area (20 mins from DC) I'd love to join up :-) Love your site! And love the scottish menu - so cute! Carol: isn't it great to find out that people are reading (and loving) the books thanks to you? Since I started the series, I have gotten 7 or 8 people to read them. Five are hooked and love them (almost as much as me); I'm still waiting to hear from the rest of them. I agree with Dinah! As a visitor to this site, I can only say how much I love there being a place where people are as crazy about the books as I am BUT less far along than the LOL site, as well. Can't wait til I'm up to speed with you guys!